Here at BlueStar Communications, we’re invested in providing both our residential and commercial customers with the necessary infrastructure and equipment to ensure that they can thrive in the modern, high-speed digital age. This includes staying up to date with all the latest technologies, including NBN and VDSL2. NBN stands for the National Broadband Network, which is the name given to the Australian government’s multi-billion dollar attempt to upgrade the country’s network infrastructure. It involves enhancing existing phone line and internet networks to provide greater connectivity for homes and businesses across Australia. Whether you’re in an urban area or a more rural locale, you can benefit from the increased connectivity NBN installation provides. Higher speeds of data processing allows you to use multiple devices simultaneously, so whether you’re streaming video, playing games online or you simply need a quicker, more reliable connection for work, NBN cabling in Canberra is vital in helping you move forward into the 21st century. You should also note that switching to NBN is compulsory. Once the network in your area is ready, you’ll be notified. You’ll then have 18 months to invest in NBN installation in Canberra before your existing network is switched off. To make sure you’re ready for the switch to NBN, contact us today. VDSL2 stands for very-high-bit-rate digital subscriber line 2 (VDSL2). It allows internet service providers to offer quicker connection speeds via existing legacy copper lines. It is a mandatory part of the Multi-Technology Mix now being offered to every single Australian household and business. VDSL2 installation in Canberra is available to homes and businesses wanting to take advantage of upload and download speeds of up to 200 Mbps. VDSL2 is now available across the Australian Capital Territory and can be installed by BlueStar Communications. Contact us now to find out more. Here at BlueStar Communications, we specialise in a range of electrical and communications installations for both commercial and residential users in Canberra, including NBN and VDSL2. 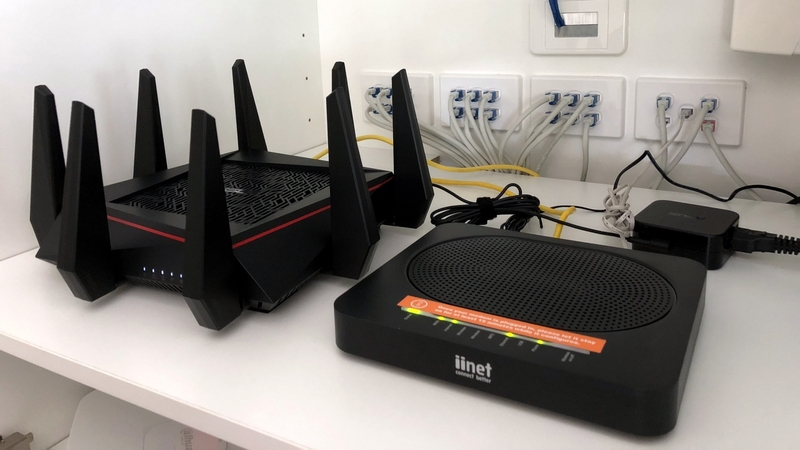 To find out more about VDSL2 and NBN cabling and installation in Canberra, including modem set up, network switches and central filters, simply get in touch with us today by calling (02) 6296 4004.